Extreame Savings Item! Free Shipping Included! 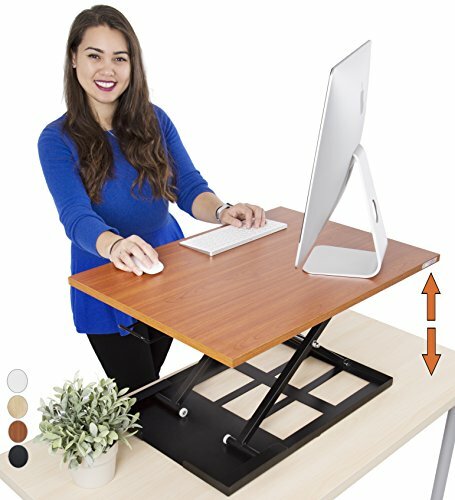 Save 46% on the Standing Desk X-Elite – Stand Steady Standing Desk | X-Elite Pro Version, Instantly Convert Any Desk into a Sit / Stand up Desk, Height-Adjustable, Fully Assembled Desk Converter (Cherry) by Stand Steady at Momiji Studios. MPN: SSUD28CHN. Hurry! Limited time offer. Offer valid only while supplies last. You've been wanting to get a sit to stand desk because it is good for your health and relieves back pain, but you aren't sure which one to invest in.